Andrew Kennedy, the President and CEO of the Center for Economic Growth (CEG), will discuss the recently-submitted proposal to lure Amazon’s HQ2 to the Capital Region at the next Albany Roundtable luncheon on Wednesday, November 8. The luncheon will be held at the National Register-listed University Club, 141 Washington Avenue at Dove Street in Albany, and is open to the public. The Center for Economic Growth is a nonprofit, regional economic and business development organization that serves as the primary point of contact for businesses interested in growing in or moving to New York’s Capital Region. Kennedy previously served as the Deputy Director of State Operations for Governor Andrew M Cuomo overseeing the day-to-day management of New York State government, as well as developing and overseeing implementation of state policies and programs related to economic development. Prior to that, Andrew served as Governor Cuomo’s Assistant Secretary for Economic Development coordinating the development and management of the State’s economic development and housing efforts. Before joining Governor Cuomo’s staff, Andrew worked for over a decade at the New York State Division of Budget and for the New York State Assembly where he developed a detailed understanding of New York’s fiscal and economic development policies and programs. 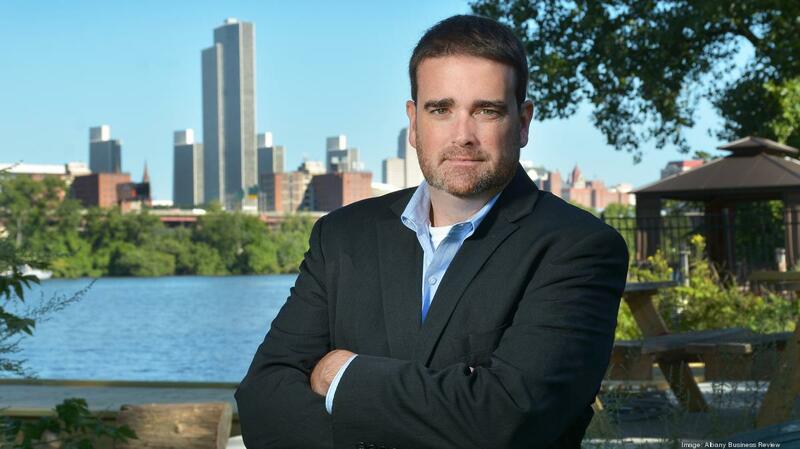 Andrew holds a master’s degree in public administration from the Nelson A. Rockefeller College of Public Affairs and Policy and a bachelor’s degree from Siena College in political science. The Albany Roundtable will also present its prestigious New Patroon Award to Clark House Hospitality and its co-owners Vic Christopher and Heather LaVine for creating quality experiences between people, food, and drink in Troy, and for their leadership in bringing ride hailing to upstate New York. The cost for the luncheon is $20, which may be paid at the door. The Roundtable also offers its guests the option of paying in advance with a credit card at www.albanyroundtable.com. The University Club will serve a hot and cold buffet from 12:00 noon to 1:00 p.m., with the program commencing at 12:30. Reservations for the November 8 luncheon are required by Monday, November 6 and may be made online, by calling 518-992-5360 or by sending an e-mail to albanyroundtable@gmail.com.